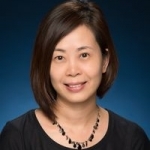 Dr. Daphne Mah is currently Director of the Asian Energy Studies Centre, and an Assistant Professor at Department of Geography of Hong Kong Baptist University (HKBU). Dr. Mah obtained her MSc in Environmental Management from the University of Nottingham in the UK, and completed her PhD study in 2010 at HKU, investigating the role of local states, policy capacity and the development of wind energy policies in Xinjiang, Shanghai and Guangdong. Dr. Mah’s research and teaching focuses on three broad domains: sustainable energy, energy governance, and comparative policy-making, mainly in the Asian, Chinese and Hong Kong contexts. She was awarded the Chevening Scholarship for her studies in the UK. She is a recent recipient of Faculty of Social Sciences’ (HKBU) Faculty Award for Early Career Academic (Research) 2014-2015. Before pursuing her academic career, Daphne was a journalist in Ming Pao Daily News, and the head of the campaigns team of Friends of the Earth (Hong Kong). A more comprehensive profile of Dr. Daphne Mah can be found here.